When we are sharing any kind of information on a social networking platform or a messaging platform, we need to be sure that it is safe and secure. The websites and the messaging platforms ensure that the information which we share is protected, safe and secure. If we consider social media, then the users have the option to which audience will be getting to know about it. This is how the information is secured, it is our choice to share it publicly or just with our friends. We need to look deep into this, are the entire information for real safe and secure? In India, last week, the Supreme Court has requested the law authorities to ensure that the user data is safe and secure. They wanted to be sure that the users are not being enticed in the social media and messaging platforms. The analysis shows that there are around 160 million users in India, who use WhatsApp and Facebook. Both the services are being provided for the users and it is essential that they are not falling into the trap. On the other hand, the government requested the High Court to create a system to have the user data safe and secure. Apart from that particular factor, it is said that the system must of mandatory in nature to be followed. There is a duty which the state authorities have to follow to secure the rights of the citizens which they hold. Both the service providers have been providing it for free and this is why they want to ensure that everything is safe. The senior advocate KK Venugopal, who was representing Facebook, as WhatsApp is owned by Facebook. He clearly stated that the information which will be shared by the firm will not be of a personal or delicate kind. India is at present changing its paths and is being transformed into a digitized country. A benefit which the app has is that there is an end-end encryption available for the users. This makes it clear that the information which is being shared on the platform is completely secure. There is no possibility for any third party or WhatsApp to have an access to the messages which are being shared between two users. A user always has a freedom to choose and right for having their privacy not violated by any means. The law authorities are already into creating a strong secure system for the user data. They are in process of creating mandatory law or administrative directions which would be required by default. In this hearing, Venugopal also stated that for time being there is no said foundation for this particular issue. But, most of the pleas have been covered in the Information Technology Act of 2011. There are rules in the framework and issue has been elevated, unfortunately, the appeal is not in a condition of maintainability. If there are any possibilities of sensitive information being shared through the platform and in any case, it is not been taken into consideration, what will be the role of the law? This was the question posed by the bench to Venugopal and he was also asked whether any kind of sensitive information will be shared or not? The senior counsel responded to this question and stated that there will be no sensitive or personal information shared. 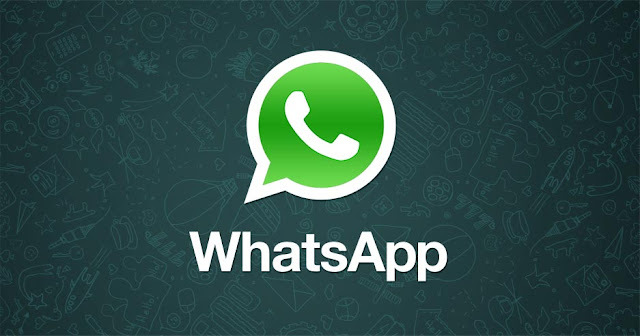 WhatsApp will be sharing only phone numbers, device ID, Last Seen Status and details of the registration made with the app. These will be the only information which WhatsApp will be sharing with Facebook. Venugopal said that these kinds of information were not of sensitive nature and there is no need for any kind of consideration. Unfortunately, there is no particular law in India, where the data needs to be protected and a right to privacy. This is something makes things vulnerable and WhatsApp has been following all the rules in the act. It is not only India where WhatsApp is struggling with this particular issue. The European Union is in talks with WhatsApp on this particular issue and there has been no solution yet. But, it is said that this summer WhatsApp will be sharing information with Facebook, only if it was in favor of WhatsApp. Anand Rajendran is CEO and Co-Founder of Zoplay, best PHP scripts development company located in India. Zoplay is a part of Casperon Technologies a leading social and mobile development company which is developing , leading innovative and collaborative software development teams to deliver major software applications like SCIMBO - Whatsapp Clone Script. I'm a Tech geek, Digital marketing expert, Entrepreneur, and Atheist who loves to write everything about PHP Scripts and mobile application development.